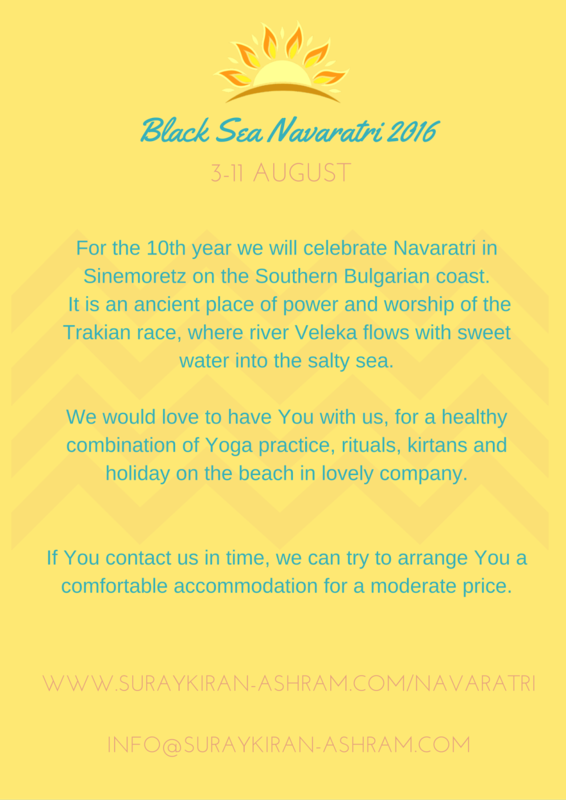 For the 10th year we will celebrate Navaratri in Sinemorets on the Southern Bulgarian coast. It is an ancient place of power and workship of the Trakian race, where river Veleka flows with sweet river into the salty sea. 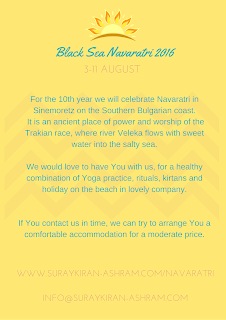 We would love to have You with us, for a healthy combination of yoga practice, rituals, kirtans and holiday on the beach in lovely company. 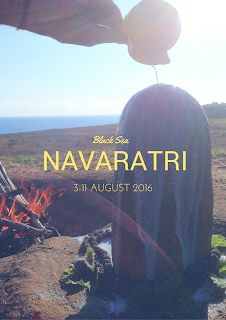 If you contact us in time we can try to arrange you a comfortable accommodation for a moderate price.